Most water heaters across the country are storage tank water heaters. These are water heaters with large storage tanks, built to hold anywhere between 20 to 70+ gallons of water. 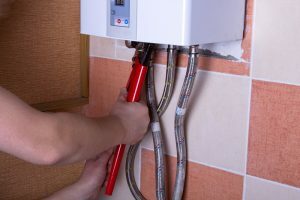 While keeping that many gallons of hot water on hand at all times is certainly nice for the homeowner, it can create some sustainability issues for the water heater itself. Being exposed to water at all times can cause metal to rust out pretty fast. What is a Sacrificial Anode Rod? The sacrificial anode rod is a long metal rod, which is inserted into the storage tank of your water heater. The rod is composed of either magnesium, aluminum, or zinc, and is formed around a steel wire in the center. The rod acts as a sort of draw for rust, protecting the inner lining of the storage tank from rusting. Eventually, however, the rod itself will corrode to the point of uselessness. When this happens, it is vitally important that the anode rod be replaced with a fresh one. If this doesn’t happen, the inner lining of the water heater tank will begin to rust. The first sign that most homeowners have that their anode rod has failed is when discolored water begins to come out of their faucets. By that point, the lining of the tank has already begun to rust, and it may need to be replaced. The anode rod should be checked at least once a year. That way, a rod that is getting close to failing completely can be replaced with a fresh one to maintain protection. If you aren’t sure how to check or replace your sacrificial anode rod, call Design Comfort. 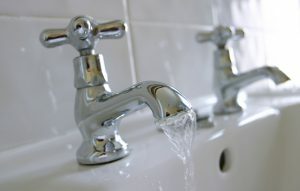 We provide water heater repair services throughout the Salt Lake City area.